Paleo Inn price per day from € 25 This small, family run hostel is found within a short walk from the beach. 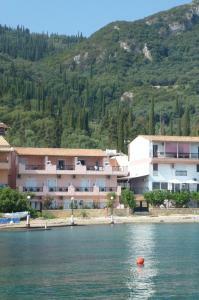 It offers a reception/bar area and a large sun terrace overlooking the bay of Paleokastritsa. Paleo Inn offers 20 rooms with private bathroom and a refrigerator.